Add another revenue stream to your retail outlet, or provide your customers with a coffee while they consider their purchase. We provide counter or self-service coffee machines and equipment, with a range of cups and crockery for perfect presentation. Ideal for the retail industry. 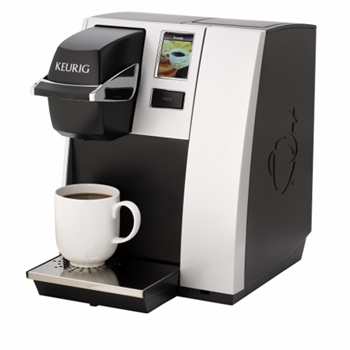 Klix 450 is the tabletop model of the popular Mars Drinks in-cup coffee machine that ensures consistent product quality, unsurpassed machine reliability and a simple, flexible system that can be tailored to your individual needs. Perfectly suited for cashless systems with the KLIXKEY technology. 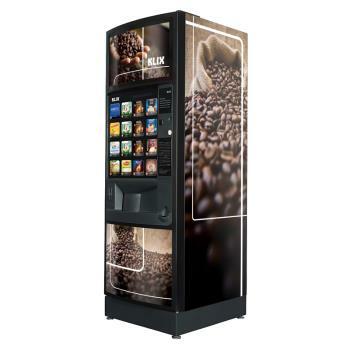 The MARS DRINKS KLIX Momentum coffee vending machine is designed to support fast-paced work environments, including transport and logistics operations, call centres, warehouses, manufacturing plants and agricultural businesses. No matter the workplace, this office coffee equipment gives people the power enjoy the drink that is exactly right for them. UK leading capacity with 1,248 cups! 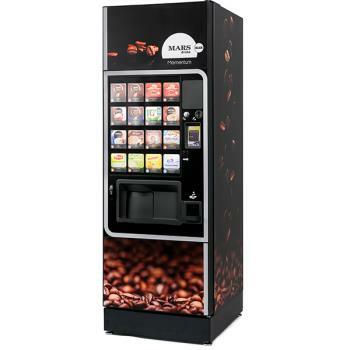 Mars Drinks developed this high quality machine to offer both hot & cold beverages everyone will love and deliver with consistent quality. 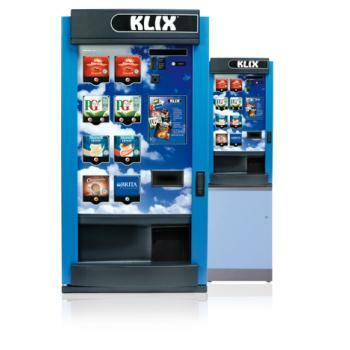 The Klix Outlook offers full capacity 1,375 cups and 12 selections which eclipses that of any other free-standing hot & cold beverage system in its category. Market leading brands include Nescafé Gold Blend, Kenco, PG Tips and Knorr. The Sigma Light is a stylish piece of office coffee equipment that boasts promotion capabilities on its fully integrated touch screen. 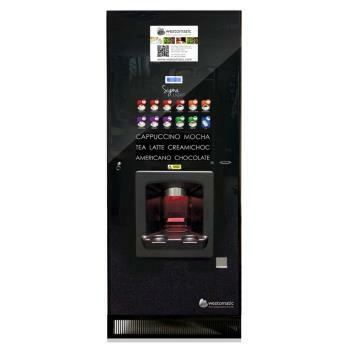 The coffee shop quality drinks are delivered via the user friendly touch sensitive menu.